Nuvera delivers a new kind of clean. After 50 years of research and testing we're happy to present a line of products that provide a thorough clean without eroding household surfaces. Household cleaning supplies changed our lives. Sounds dramatic, we know, but that’s what Nuvera did for us. For decades, our family company in rural Missouri created and packaged industrial cleaning supplies for some of America’s largest retailers. But we started wondering how we could get that commercial quality cleaning magic in our home safely, because as parents, our biggest concern was using components that are safe for our kids & pets. That’s how Nuvera was born. Derived from the words nu and vera – new and spring – Nuvera comes at household cleaning with a bold & fresh new outlook. Cleaners are designed to break down and destroy dirt, but often use harsh chemicals that damage household surfaces. The damage can be immediate or it can happen gradually. 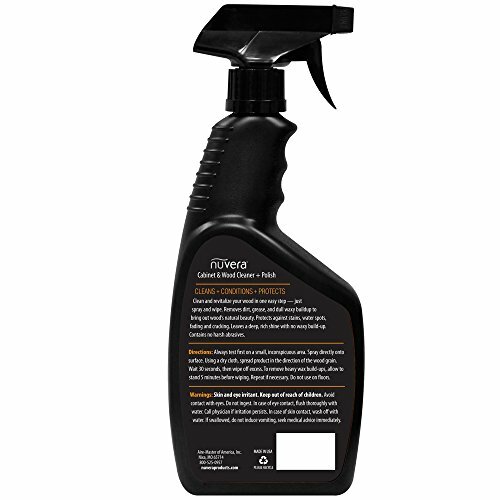 With Nuvera, we wanted to create cleaning supplies that attack dirt without ruining surface areas. That's why our line includes products to target specific problems for a safe & customized clean. Try Nuvera and see for yourself why we’re so excited about it! 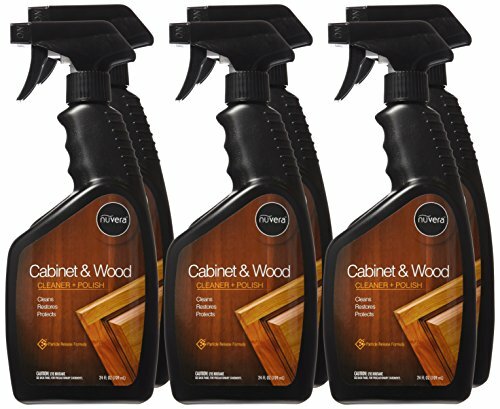 This wood cleaner polishes & revitalizes wood, imparting a high gloss finish that protects from stains, water spots, fading & cracking. 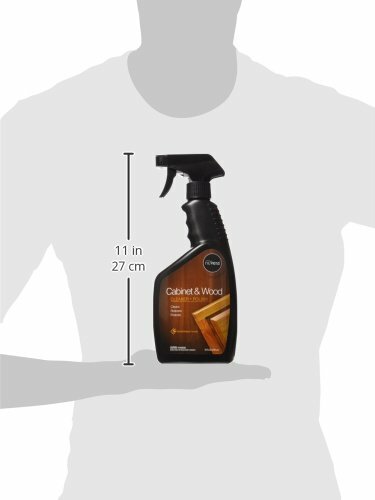 Our safe, effective formula breaks down stains, allowing trapped dirt to lift away without excessive scrubbing or harsh chemicals, leaving you with a streak free shine & no waxy buildup. 1) Test on an inconspicuous area. 3) Spread onto surface with the grain using a dry cloth.